The aquafil Fresh refill station and drinking fountain provides chilled, filtered drinking water to large communities. 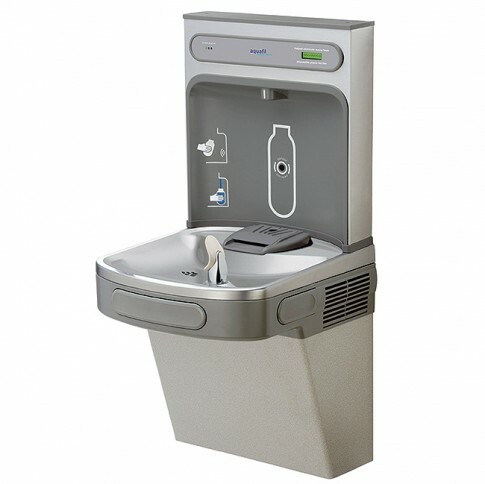 It is best suited for indoor use and its unique design enables wheelchair access to both the refill dispenser and bubbler. It can be installed anywhere and it is ideal for educational institutions, healthcare facilities and large public buildings. It has sanitary touch free sensor activation with an automatic. 20 second shut off timer to ensure not water is wasted and a built in green ticker that counts the bottles saved from waste.